A North Leitrim councillor has accused the owners of the now defunct Abbey Manor Hotel development of “giving the two fingers” to the local community. Speaking at Monday's Municipal meeting, Cllr Mary Bohan said that the owners “have done the minimum amount of work possible”, adding: “It took a long time to get this done. “This has been a long saga and it has been very disrespectful to the people of Dromahair,” she said, adding there were serious concerns the property could, once again, become a magnet for anti-social behaviour. The comments came after Cllr Bohan called for an update on the status of the site. A spokesperson for Leitrim County Council confirmed that the developers have completed works required under the Section 59 Endangerment of Protected Structure Notice and Derelict Sites Notice issues by the local authority. Vandals have caused extensive damage to the structure since its closure. Here is a pictured of the damage taken in 2018. 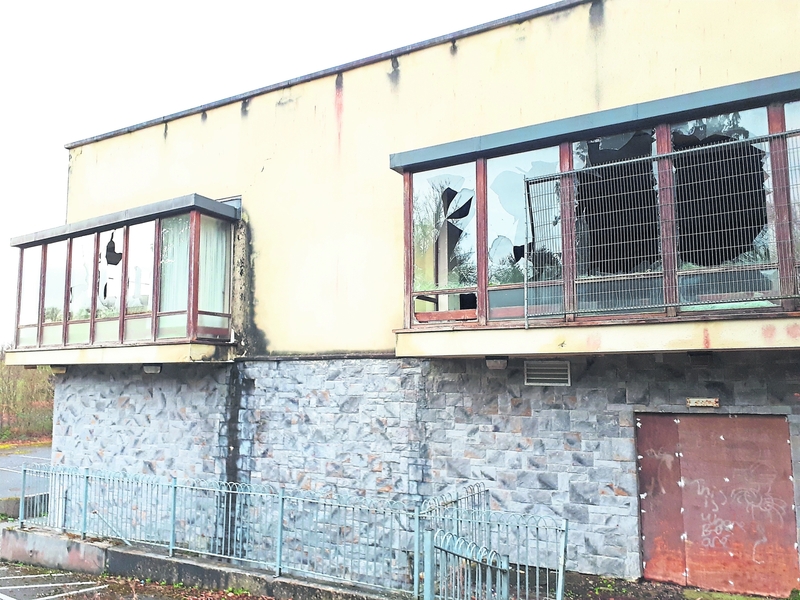 “I would ask that the council step it up a gear and engage with the owners and see if they would put it up for sale so that someone else could make use of the building,” said Cllr Bohan. Cllr Frank Dolan seconded Cllr Bohan's call for clarity on the future of the Abbey Manor Hotel. “There is absolutely no doubt this remains an eyesore. The barriers around it have complicated parking and make it look like a building site,” he pointed out. Cllr Padraig Fallon acknowledged it was vital that a different use be found for the property, “so we don't face the same problems again in a short time”. Cllr Justin Warnock agreed and noted the status of the hotel has “been brought up time and time again. People should be held to account,” he argued. Ending the discussion, Cllr Bohan again urged the council to contact the owners and engage with them to determine exactly what plans are being considered for this site. “It is in the centre of the village. It can't just be left to sit there or it will just go back to the way it was,” she insisted. The Leitrim Observer was unable to contact the owners of the property for comment, as the council has never disclosed their identity.